BARNET RESNICK is the founding partner of the firm of Vogt, Resnick & Sherak and chairs the Firm’s Business, Finance & Tax Group. For more than 40 years, his practice has centered primarily on business/tax planning, business transactions and tax controversies. He has represented clients before judicial, administrative, and regulatory bodies at the local, state and federal levels. Mr. Resnick is an AV rated attorney, who is recognized as a distinguished and influential member of the legal community. He is active not only in legal representation, but also in teaching, lecturing, legal writing, public service and charity work. As an elected trustee of California’s second largest Community College District, Mr. Resnick was responsible for a budget of approximately $100 million, 3,100 employees, and a 700,000 person population base. He has been an Associate Professor at California State University, Long Beach, and instructor for UC Irvine’s Certified Financial Planning Certificate Program and an instructor at the American Institute of Certified Public Accountants. In addition, Mr. Resnick was a board member of Vocational Visions, the Jewish Federation Community Foundation, and California Elwyn. 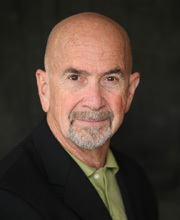 He is a current board member of Los Angeles Biomedical Research Institute and other organizations. Mr. Resnick received his PH.B Degree from DePaul University. He received his Juris Doctor degree from Western State University College of Law where he served as the editor of the Law Review.